Mr. Binder says Layer3 TV needs 1 million subscribers to turn a profit and he will need every ounce of this advantage if the company is to be successful. There are some formidable obstacles that must be overcome for the company to achieve that goal. LightReading’s Mari Silbey says that the advantages endowed by embracing an all IP infrastructure are temporary. She points out a large proportion of Comcast’s X1 service is already IP, and the company has already launched a fully IPTV service, Stream. Many other operators are headed in the IPTV direction too. For example, Cox Communications and Shaw Communications have both licensed the X1 platform from Comcast, and Cox has already deployed it. The evidence is that Comcast already has all the speed it needs to innovate its X1 in order to remain feature competitive. It is making daily updates to client software and regular updates with major functionality like voice control and network DVR storage. It could be that an all-IP implementation is no advantage at all of the likes of Comcast X1 and its licensees. I have reported extensively on the decline in television watching in the US. Among millennials, the Internet has already supplanted the television as the main place they get their news. 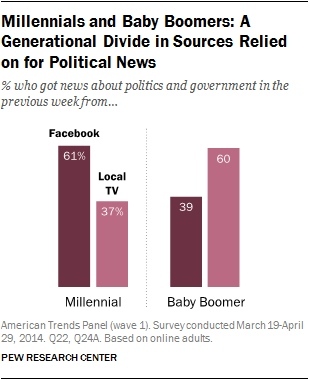 According to Pew Research, 61% of millennials use Facebook to get news, while only 37% turn to the TV. Many children do not watch traditional at all. New data from Croatia illustrates the consumer reliance on pay TV is waning worldwide. 61% of Croatians now use the Internet as their main source of information, compared to 29% that use the television. 45% say they use the Internet for more than 4 hours a day during the week, with just 10% using television that much. Layer3 TV service will cost the same, in the region of $80-$150, as cable service. Certainly, Comcast is proving with X1 that an advanced TV experience can help attract and retain customers. So a tangibly better experience can be a real differentiator for customers. That said, it should be noted that Comcast is still losing pay TV subscribers overall. As I pointed out last week, the economics of running a pay TV service is heading in the wrong direction. Content fee increases are consistently outpacing an operator’s ability to raise prices, diminishing profit margins. And these dynamics look even worse for small operators like Layer3 TV that lack the negotiating power of a big operator like Dish or AT&T. These are some substantial problems that Layer3 must face, but can it still be successful? If we define success as Mr. Binder does (gaining 1 million subscribers) yes it can. Digitalsmiths says that 7.8% of pay TV customers changed their operator in the last quarter of 2015. With 8 million homes a quarter up for grabs, many could be enticed to try a new service like Layer3. But only if the company can roll out service widely and quickly. To be successful, Layer3 TV will need to execute flawlessly and quickly increase the homes it can actually reach with service to the something like 5 million. And that’s a tall order given that Chicago is the only announced launch market. With consumer interest in pay TV wanning, does Layer3 TV have the time it needs reach the 1 million subscribers it needs? Launching a traditional pay TV service today sounds like a crazy idea. The market for pay TV is declining, profit margins are falling, and consumer interest is waning. That said, a new company like Layer3 TV could still be successful if its goals are modest and execution flawless. The biggest challenge is their name. Everyone calls them Level3, including the author, twice (once in each of the last two paragraphs). Thanks for pointing this out, and I totally agree. The name is terrible. Google has announced it will cease installing fiber for a “next generation” service delivery”. Is this packet delivery using cell phone technology for the last mile? Comcast has proven itself to be an untrustworthy service provider to the consumer, and it will eventually pay the price in the marketplace. I checked out layer 3 and think its inventive. Only issue is you would need Comcast internet to use it and the price is what I pay now as I have premier package and layer tv does not offer all movie channels. Comcast is set to launch HDR box and 4K box as HDR is expensive and more peeps are going to 4k UHD as they are more affordable. Comcast is also set to launch wireless boxes after the 1st of the year per my sales rep. So Layer 3 is good idea but since they only offer TV and not internet and phone service does not make sense for me to switch. After putting in my zip code in Chicago area the good news is Layer3 is available but the bad news is that I still need to pay COMCAST for my internet connectivity. Once I drop down to high speed internet only with Comcast PLUS add back Layer3 with boxes, the price is actually more than current Comcast service. Service with Comcast is reliable but the biggest complaint with them is tech support and in home service….If Layer3 is just competing with better service, I think they will fail. The price needs to be cheaper once internet connectivity is calculated in. I was prepared to switch even if the costs were the same or maybe $5 a month more…that is how much I hate COMCAST, but unfortunately I don’t hate them enough to spend $30 a month more. I’m watching less TV now than I’ve ever watched in my life and I don’t see that trend changing any time soon. The price that I pay for television service needs to scale with the value that I get from it, whether it be a usage-based model, an ala carte model or some other variation. More compute in the set-top box isn’t a selling point, a selling point with regards to the STB would be an ‘HDMI Stick’ form factor that doesn’t double as a space heater and/or take up limited real estate around the television. So if I am hearing the conversations above correctly, Layer3 is a box that requires a wireless Internet connection. Still trying to figure this out. Now I see why Comcast decided to start billing for Internet usage overages. They are sticking it to people like Layer3 customers so they will stay on their TV package opposed to switching. Comcast is a bunch of crooks that cornered the market and continues to raise rates. They will eventually get run over ad the market becomes more competitive. Hats off to Layer3 for taking a leap of faith! I might switch just for that reason. Actually Layer3 is available in Washington and now LA. I live in Longmont, CO and our little city was wired totally for Fiber Optic. My speeds are 1 Gig. Layer3 came in and offered a very attractive TV package and I bit on it. So glad I did, so far no glitches and it performs with high speed and a beautiful picture. Customer service is really good too. I hope they can make it a solid business. Trying them out now side by side with Dish. Dish has been my provider for 10+yrs and have been very disappointing for the last 5yrs. Layer3 so far is better. More reliable and better customer service. Also cheaper than Dish or anyone else in the Dallas area. And yay. They don’t have the 100+ crappy channels I don’t watch or want anyway. I tried the service during the trial but, even though the service was great and the picture was the best I’ve seen, I had to cancel. I’m not sure how anyone is saving money with this service. A package that is similar to what I have now with Charter would cost $162 PLUS the cost of my internet through Charter. If I cancel my regular Charter cable TV, the price of my internet goes up from $25 per month to $65. So $220 is what it would cost to keep Layer3 plus my internet service and that is with fewer channels than Charter. My current bill with Charter is $150 per month for the Gold Package. That includes all premiums. I would love to keep the Layer3 but it doesn’t make fiscal sense for me. Dumping Layer 3 as we speak. While the picture quality and overall idea of “sticking it to the man” are enticing, the system has some unbelievable bugs that anyone charging $90 a month for this service should not have. 1) Every time I try to scroll through the guide with the white circle, it starts scrolling infinitely. I literally cannot get to a specific channel/On Demand show without spending ten minutes dealing with the scrolling. 2) When I report issues to them, they say they are actively working on them and it should be fixed in the next couple of days. The scrolling issue mentioned above has been happening for multiple weeks. 3) Live sports are 30+ seconds behind what other providers have. 4) The DVR is not reliable. I set up a series recording for a Saturday Night Live, and the system recorded the news before SNL with the first 25 minutes of SNL and then stopped. 5) Channel package is 90% fluff. If you want THREE Big 10 network channels, and the NASA channel then this is the service for you. 6) The On Demand selection is weak. 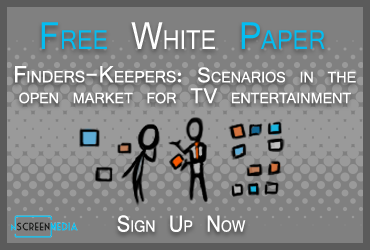 While Layer 3 will offer have your channel, they might have it on demand.